Roof Dimensions: 1800mm x 1240mm. 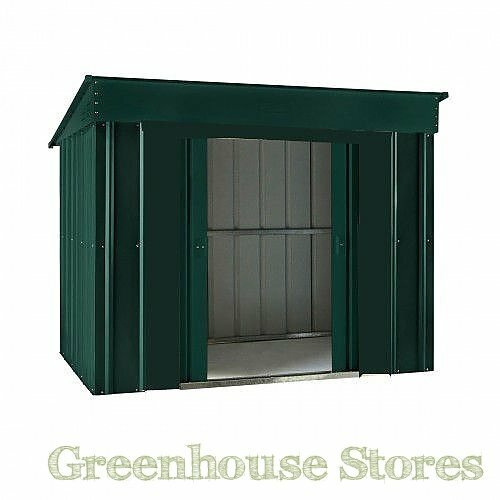 1130mm (3ft 7") Wide Metal Shed - Compact Design. 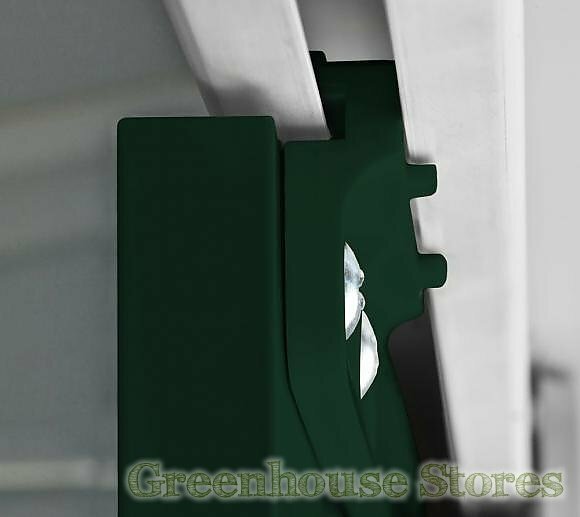 Hot Dipped Paint Finish - Heritage Green and Cream Trim Colour. 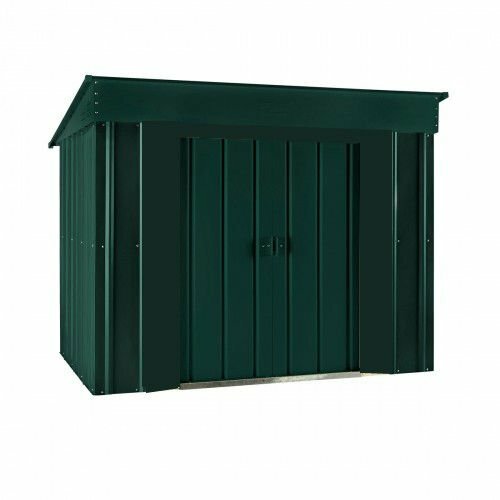 The Lotus 6x4 Low Pent Metal Shed Heritage Green is a compact pent storage shed that will require no maintenance or painting. 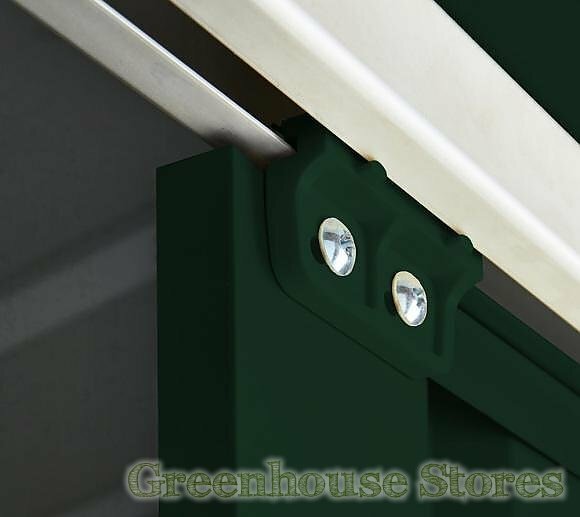 It’s low profile makes it ideal for under windows and caravan parks. 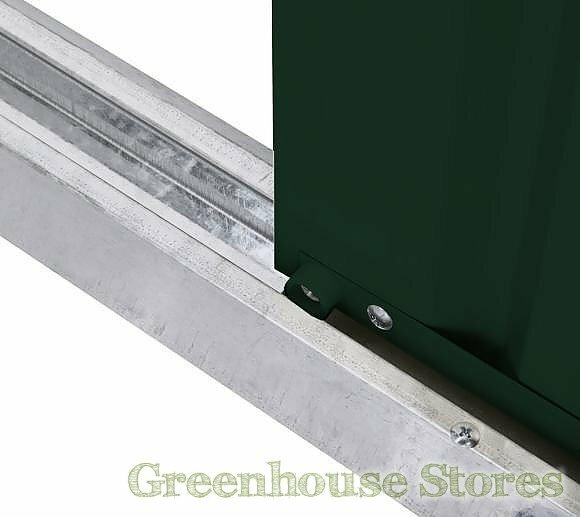 The Lotus 6 x 4 Low shed is constructed from a galvanised steel framework and clad with .3mm hot dipped steel in an attractive heritage green colour.